After leaving his post as the vocalist of emo outfit From First to Last in 2007, Skrillex (a.k.a. 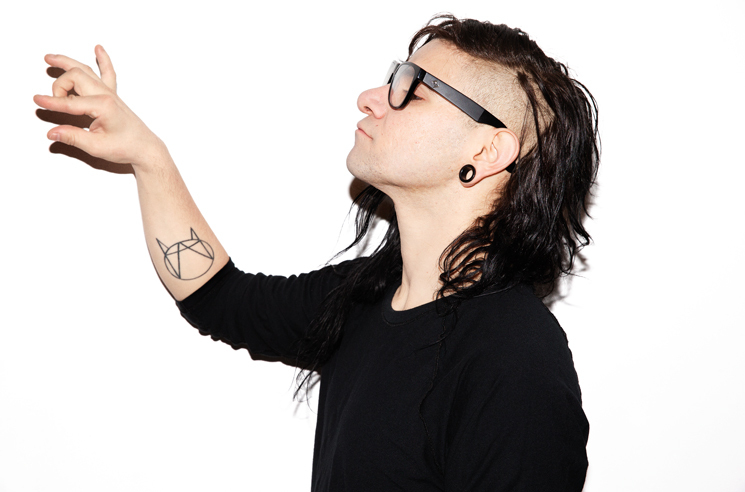 Sonny Moore) hit the big time as one of America's preeminent electronic producers. Almost 10 years on, Moore is reportedly recording new music with his old band. The producer first sparked rumours of his return this past July through previewing a previously unheard collaboration with the band on his Beats 1 radio show. Now, video footage from the studio has emerged on Reddit, with a clip posted by user CakeSoul appearing to show Moore recording in studio with the group. Moore's 2007 departure was the result of sustaining vocal chord damage that was required surgery. From First to Last reformed as a group in 2013 following a three-year hiatus and are now at work on their sixth studio album. As of late, Skrillex was involved in the Suicide Squad soundtrack, while his last full-length Recess arrived back in 2014. Watch the studio footage in the player below.